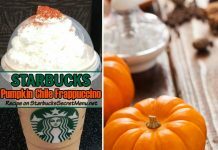 Now that fall is right around the corner, the festive drinks are starting to roll in, and we love how festive the Perfect Pumpkin Frappuccino is! 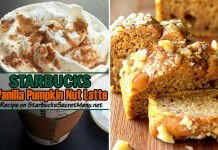 Barista made, and customer tested already! 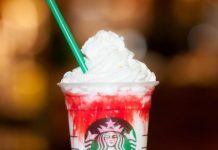 These seasonal drinks don’t last long, so why not have some fun with it while you can? 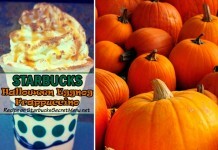 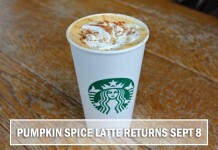 *US Starbucks goers can enjoy buy one get one free fall drinks until September 21 from 2-6pm! 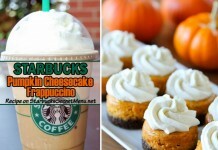 It’s a great time to try our Pumpkin recipes! 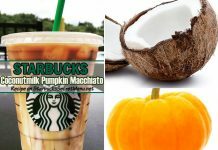 Huge thanks to Barista Olivia B of Virginia Beach, VA for the awesome recipe and photo! 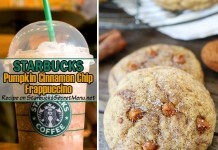 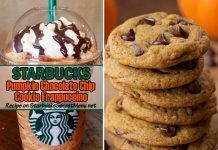 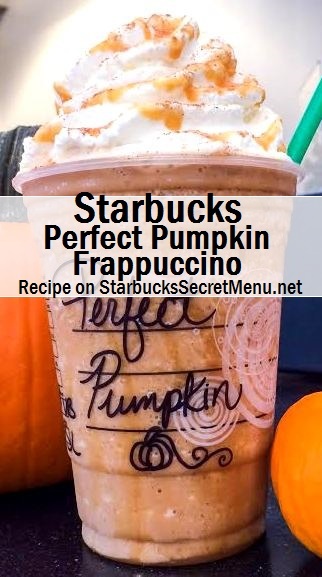 If you have a recipe to share, send it to starbuckssecretmenu [at] gmail.com and it could be featured on the site!